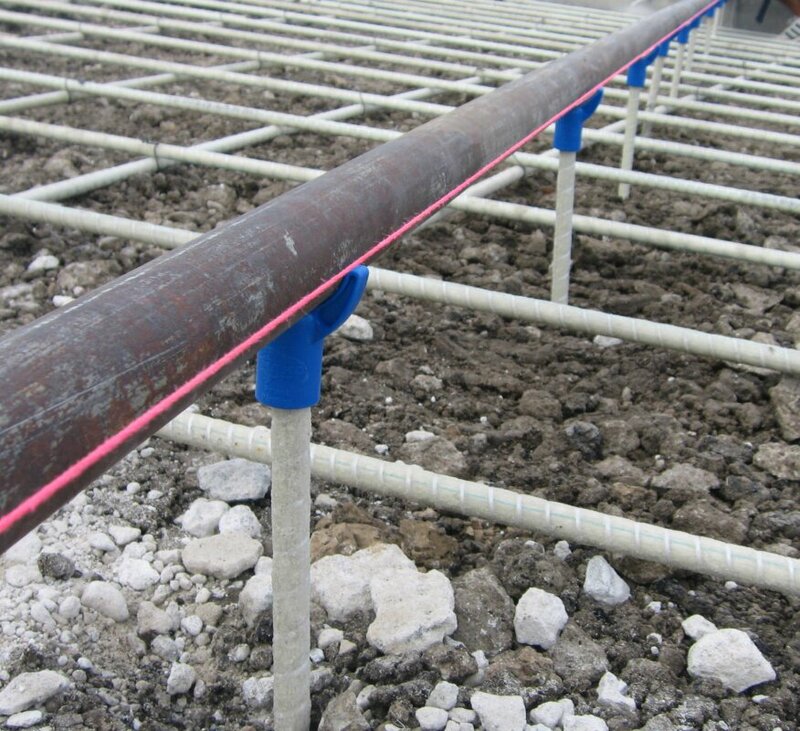 Support system lets you set screed rails quickly and securely. When laser screeds were introduced in the late 1980s, the machines set new standards for accuracy and productivity. Not every concrete contractor uses a laser screed, though, and not every job is suitable for laser screeding. If you’re not using a laser screed but still need a flat floor and precise elevation control, there’s a product designed to help.  MAKOThe MAKO Elevation Control System supports 1 1/2-inch i.d. screed pipe on its plastic FinCap chairs. Contractors who have used the MAKO Elevation Control System to support screed rails say it reduces both labor and material costs compared to alternative methods. The system consists of several durable plastic components that are used in various combinations, depending on the conditions and needs of the specific job. These components include rounded chairs designed to support screed pipes; toothed chairs in two sizes designed to support screed rails; a driving tool that allows one person to quickly set the screed supports to the correct elevation; a support stand that can be attached to wood or metal decks when pouring elevated slabs; and a base plate that allows the system to be used over a vapor barrier or other substrates. MAKODriving tool allows chairs to be positioned easily. The pointed marker on the tool should meet the string line to align the finish elevation with the top of the screed pipe. Regardless of the type of installation, the first step is to set the finish elevation using a string line or laser. Next is to determine the placement and spacing of the screed rails, and the spacing of the screed supports. 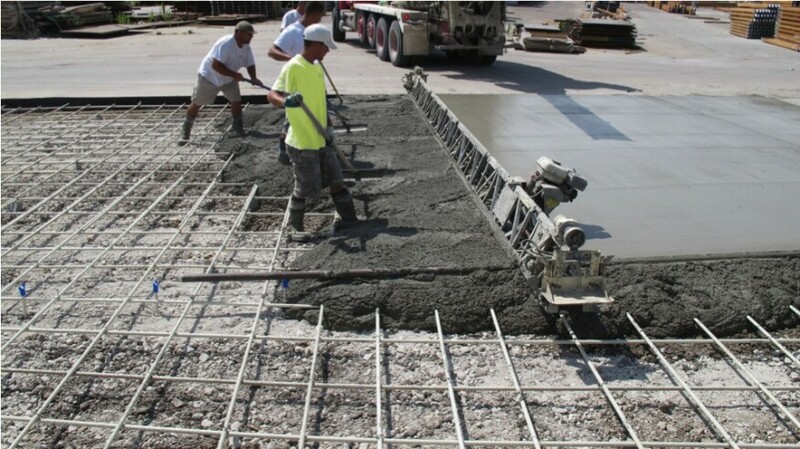 Supports are typically spaced every three feet, but this can vary depending on the subgrade or surface, the weight of the screed, and the span being poured. 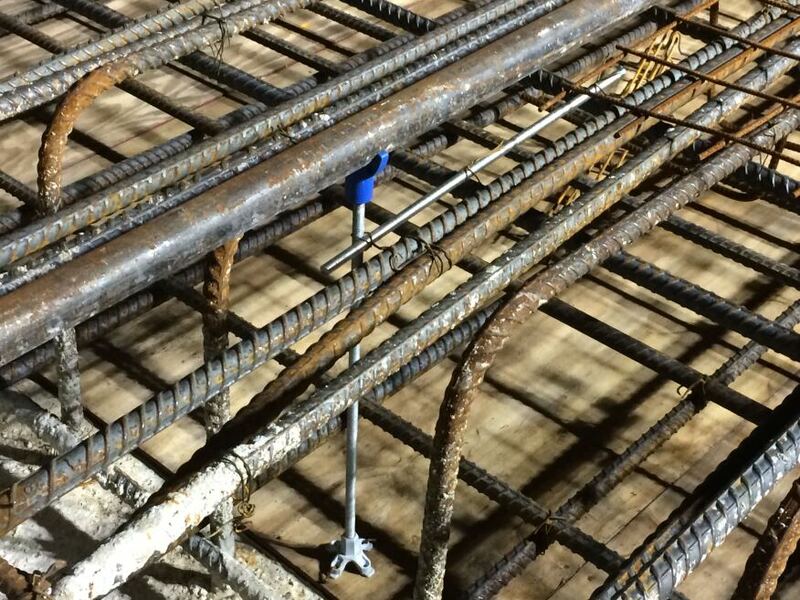 In the simplest configuration, used for slabs on grade or to level a subgrade, a length of 3/8- to 5/8-inch rebar serves as the vertical support. To place the support, fit a FinCap chair on one end of the rebar and then insert it into driver. Fins inside the hollow part of the cap hold it snugly on the end of the rebar. Align and drive the support into the ground until the marker on the driver hits the string line. The marker indicates where the top of the screed pipe or rail will be once it’s placed on the support. Repeat this procedure every 3 or 4 feet until all the supports are set. Lay the screed pipe or rail on the supports, and proceed to pour and strike off the concrete. MAKODuring placement, a vibrating screed travels along the screed pipe, for precise elevation control. As the concrete is placed and screeded, slide the screed pipe down, fill in the void with mud, and smooth with a bull float. The supports remain embedded in the slab. For elevated decks, instead of driving the support into the ground, use a FinStand and a ½-inch by 13 all-thread to hold the FinCap. Secure the stand to a metal deck with screws, or to a wood deck with short nails. With the driver in place over the cap, use the threaded rod to adjust the height until the marker on the driver meets the string line. The base plate component offers additional flexibility, as the FinStand snaps into it without additional fasteners. With the base plate, the system adapts for use over a vapor barrier, concrete overlay, sand or rock subgrades, as well as for sloped slabs, abutments, and embankments. 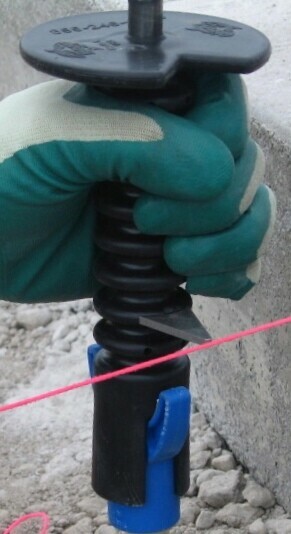 If you’re using the base plates, MAKO recommends threading rebar through the FinStands to provide additional stability. The company says the system accommodates slab thicknesses from 4-1/2 inches through 48 inches or more, with adjustability determined by the length of all-thread used. Shawn Bush, HD Supply White CapFor a 24-inch-thick elevated slab at the Kennedy Space Center, FinStands were nailed to the wood deck and ½-inch all-thread provided height adjustment for the FinCap chairs. 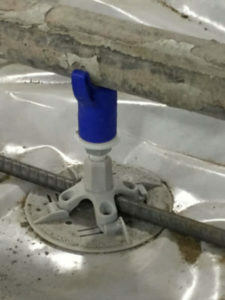 Des Moines, Iowa-based MAKO Enterprises LLC introduced the basic Elevation Control System in 2012, and debuted the FinStand and base plate refinements at World of Concrete 2015. Contractors have used the product on a number of high-profile installations since then. 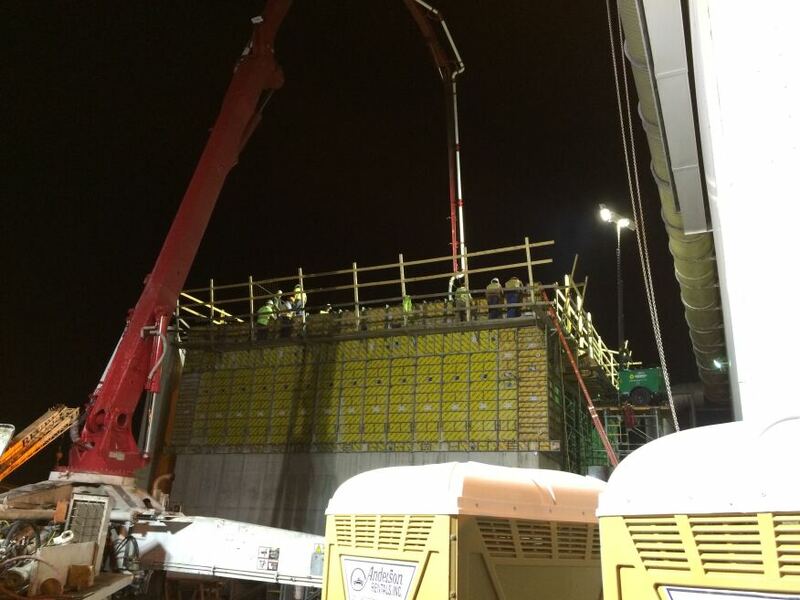 One challenging recent placement was the roof slab for an explosion-proof test chamber at the Kennedy Space Center in Florida. Because the slab is 2 feet thick and 33 feet off the ground, screeding options were limited. David Harrison, project supervisor for contractor Hensel Phelps, says the company compared the cost and ease of use of a few available methods and chose the MAKO system based on the results. “[With] the slab being 33 feet in the air, ride-on or walk-behind screed systems were not as feasible as setting screed rails of some type and using a vibrating screed. 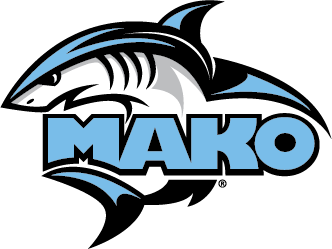 The main benefit of the MAKO system was the speed of installation and set-up. The built-in 1 3/4-inch fine height adjustment…and preformed mounting holes in the FinStand greatly assist installation. I like the fact that the system is designed to work with off-the-shelf ½-inch all-thread, so availability is never an issue,” he says. Shawn Bush, HD Supply White CapCrew uses a vibrating screed and bull float to finish the test chamber roof slab. Another recent project was a 9,100-square-foot superflat floor for an Army National Guard Aviation Support Facility in Grand Island, Neb. 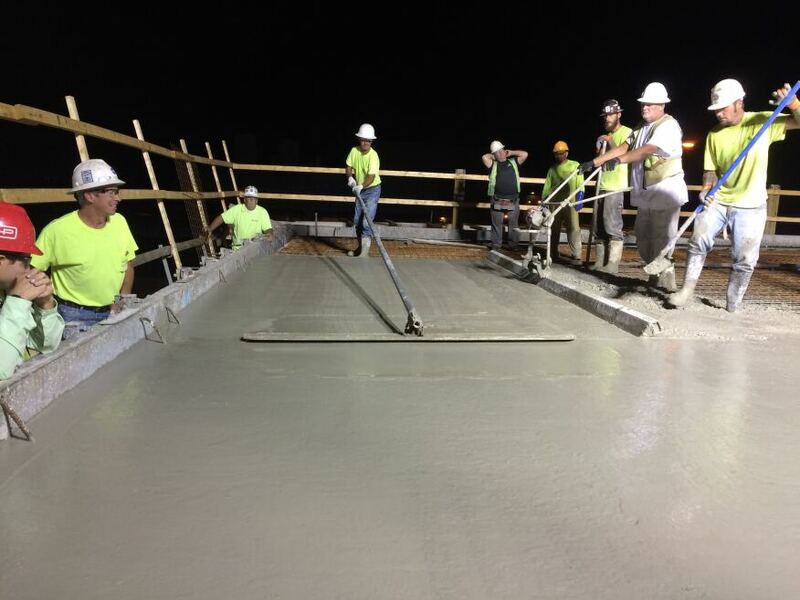 Placing this 10-inch-thick slab-on-ground was the first time the concrete contractor, Des Moines, Iowa-based Cerebral Group, had used the MAKO system. Cerebral’s concrete supervisor Anton Olson says: “My experience working with the system was outstanding—I’d say the product is revolutionary. Before, what I would have done was to use wood or steel to form bays at a width we could screed at one time. Then we’d have to wait till the next day to do the next bay. This was a massive pad, and before, we’d have just formed four bays over four days. By being able to support the screed pipe with the MAKO system, we were able to get it done in one day. It cut a lot of time off the whole job. “Using the MAKO system for this job saved us about $8000 in labor and $250 to $300 in materials, considering the MAKO components versus the formwork we’d have used otherwise. 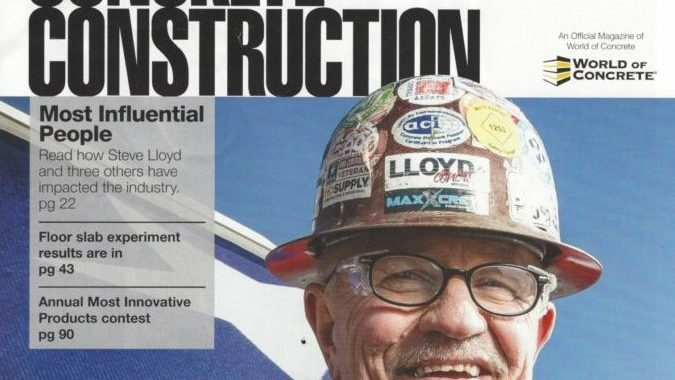 On government-funded jobs like this, you have to pay the prevailing wage of $20 to $30 an hour in this case we’d have had to pay seven or eight guys for five or six hours of forming per day. That’s a lot of money,” Olson says. Shawn Bush, HD Supply White CapThe elevation and thickness of the test chamber roof slab made the use of a laser screed impractical. The system has been approved by the Iowa DOT, and the company is working to get DOT approval in other states as well. The company has also applied for DBE certification as a woman-owned business, and expects approval to come through in the near future.